Leg Amputation Compensation Amounts Calculate – How Much Can I Claim? Whether it is walking, standing or dancing, many of us take for granted our ability to perform all of these tasks. If you have been injured in an accident that was not your fault, and lost a leg because of it, then it is likely that you experience many different difficulties than you would have imagined. If you are unlucky enough to have found yourself in this position, then you may be able to claim for compensation to assist you financially after this debilitating and devastating injury. What can be claimed for after an accident causing a leg amputation? How much compensation will I get after an accident causing a leg amputation? 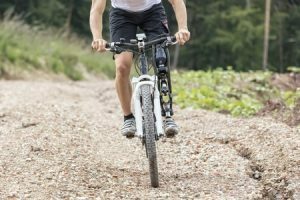 Why choose us as your claims service for a leg amputation claim? Losing a leg can be catastrophic, and not only if you are a particularly active person. Leg amputations have serious and long-reaching consequences that run far beyond affecting your ability to move around as you’d like to. From mental health issues due to loss of mobility to issues that sitting for long periods of time have on the body, there will be a lot to take in after a leg amputation. Recovery can be slow, and painful, and whether you have a positive outlook on life or not before your accident, chances are you will face enormous hurdles that you have to overcome. If you have lost your leg as a result of an accident that was not your fault, the situation can be particularly hard to deal with, especially if it is the fault of someone else. If this is the case, however, you may wish to pursue a leg injury claim that could help compensate you for the financial implications your leg amputation has caused. Leg amputation claims can not only provide a platform from which to begin your life afresh after your accident, but also attempt to provide an award to cover the pain and suffering you’ve experienced, although nothing can compensate from your missing limb completely. Here, we have produced a guide that takes you through the relevant information you need to know about leg amputation and what it involves. We also explain what is involved in leg amputation compensations claims, as well as providing an injury compensation calculator that offers a guide to leg amputation compensation amounts. Leg amputation claims happen usually due to a traumatic injury that has occurred and affected the leg concerned. Sometimes, leg amputation can be due to a medical condition, but for most leg amputation compensation claims, it is down to an accident, whether on the road or at work, or a slip, trip or fall, for military combat or in some cases, medical negligence. Long transtibial – In this type of amputation, more than 50 percent of the tibia will remain intact below the knee. Short transtibial – In these cases, between 20 and 50 percent of the tibia will remain below the knee after the amputation. Knee disarticulation – This will be an amputation of the leg through the knee’s joint itself. Long transfemoral – This is an amputation over the knee that will leave more than 60 percent of the femur on the patient. Transfemoral – Amputation of the leg above the knee whereupon between 35 percent and 60 percent of the femur is left. Short transfemoral – Leg amputation above the knee with less than 35 percent of the femur remaining. Hip disarticulation – The pelvis is left intact, and the leg is amputated through the hip joint. With this many different types of leg amputation, it is no wonder that leg amputation compensation awards can vary wildly. Driver and witness details – Whether your leg amputation incident came about because of a car accident or not, details of those at the scene should be taken. If there is a driver involved in another vehicle, then the model, make and number plate of the vehicle should be recorded, as well as full details of the driver that include their contact number, name and address, and if it is a company vehicle, you will need the name and contact details for the company. Similarly, for witnesses to any type of leg amputation accident, contact details should be noted. Notes of the incident – While events are still fresh in your mind, it is wise to write them down or dictate them to someone who can do this for you. Sometimes memories get confused, so it is best to get them down on paper as soon as you can. Photos of the scene and your injuries – It is vital to record your injuries and what has happened at the scene, and photographs can really help in this case. If you are unable to take photographs yourself, then it may be a good idea to ask someone to take them for you. Proof of monetary loss – Whether you have had to pay for physiotherapy, prescription or travel costs, it is wise to keep proof of these costs incurred. If you have had an accident and been unable to work then proof of income that you have missed out on is also relevant. If you’d like to know more about gathering documentation that could support your limb loss claims, then do not hesitate to ask. We will be happy to talk you through what sort of evidence is useful, and what may not be used to support a claim. Beginning a leg injury compensation claim is fairly straight forward. Simply call our team, and our advisors, who have been trained in dealing with all kinds of injuries, will talk you through the process in which we work. Initially, we will arrange a free consultation with no obligation to use our service. We will ask you the relevant questions about your injuries and the events that have led to them. We will also talk you through our No Win No Fee service, explaining that you will not have to pay any money upfront for pursuing loss of limb compensation and that you will not have to pay a penny should your claim not result in a loss of limb payment. Once the agreement has been reviewed carefully by you, and signed, then our experienced team will match you with one of our in-house solicitors, who will then work to take the claim forward for you. It is important to remember that if you have any queries at any stage of your amputation compensation claim that we are only ever on the other end of the phone, and we will be happy to speak to you at any point before, during and after your claim. Sadly, many leg amputations occur due to accidents at work, and some of these require the person injured to give up their job as they are unable to perform the same tasks as they once did. Ironically, even if the leg amputation is due to an accident at work, policy may dictate that an injured party’s wages are reduced while they are away from work recovering from their injuries, with some reduced to receiving only statutory sick pay. Making leg amputation claims against your employer may seem strange, but when you consider the fact that they have insurance in place to ensure they can cover a compensation payout, as well as the fact that there is legislation in place to ensure that you are not treated any differently because of your claim, making a claim is not so worrying. Even so, we understand your concerns, especially since we have pursued many claims from accidents at work before, and can reassure you that there will be no come back on you from making a claim. Whilst it may seem strange that slips, trips and falls can cause leg amputation, it really does depend on where you slip, trip and fall. A fall from height because of a slip or trip can lead to massive trauma to the leg. A slip into machinery can have consequences that are equally as bad. If you have had to undergo a leg amputation because of trauma to the leg that has happened because of a slip, trip or fall, then it may be because of someone else’s negligent behaviour. Whether it is loose cables you have tripped and fallen on, or a missing guard on machinery that you have fallen into, then we can help you to find out whether you have a valid claim for compensation, and will work hard to secure the maximum compensation possible for your debilitating injury. In active service, and even in training, accidents can happen. With experience in pursuing military amputation claims for personnel who have been injured in combat or whilst training, we know the complexities of making a claim in this regard. However, we have the knowledge required to submit a claim for compensation that could lead to a better future for those who have been injured whilst in the military. Our claims for clients who have been in combat and suffered this type of injury will not only take into account the physical injures associated with leg amputation, but also factors in the mental anguish and torment, including possible PTSD diagnoses that are commonly part of military claims. Whether you have suffered medical negligence in a private or NHS hospital that has resulted in the loss of your leg, we can help you make a claim for compensation that could improve your future prospects. With experience dealing with claims against the NHS as well as private practice, whether your amputation was because of an incorrect diagnosis, or surgical mistake, simply call us to talk through the options and receive free, no obligation advice about what to do next. Whilst initially your prospects for a full life may seem bleak after a leg amputation, it is important to remember that there is help available for those who have been through this traumatic experience. Initially after your amputation, whether traumatic or surgical, you will experience pain and swelling. Compression garments may help to reduce the swelling and pain and aid recovery, but it is essential you look after your wound as much as possible to ensure the best fit for a prosthesis should you require one in the long term. There will be a period of extensive rehabilitation and adjustment. Your therapist will not only explain to you how to look after the site of the amputation, but also how to preserve mobility in the residual leg, which will allow you to preserve balance and mobility once your prosthesis is fitted and you are undergoing training on using a prosthetist. It is important to realise that it is not only your physical health that will be affected through amputation. It is common to need to grieve for the missing limb, as well as the future you thought you had with both limbs. When pursuing complete or partial leg amputation compensation, it is common to receive both a mental health issue award due to the grief and depression amputation can cause to a person. Travel costs incurred: Whether travel expenses for medical appointments you have needed to travel to, or travel to appointments as part of your claim it is likely that you will have paid out of pocket for at least some things due to your injuries. Medical expenses – These may be compensated for as part of your award. Medical aids such as wheelchairs, or other disability aids will be included here, prescription costs for pain relief, counselling bills or physiotherapy treatments can also be claimed for. Also included are any modifications to your car or home. Loss of earnings: Both actual loss of earnings and future wages will be taken into account when calculating this part of your compensation. General damages: This is to compensate you for the loss of your leg, the trauma and suffering. Care claim: It is likely that someone will have had to look after your basic needs while you have been recovering. You may even need long term care. If so, the person who has cared for you can submit a care claim. If you are at all unsure as to what you can claim for as part of a leg amputation, then do not hesitate to ask. We will always take the time to answer any questions you might have about your injury, your claim, or your care. Whatever the reason for your amputation, if someone else is found to be at fault, you could have a claim for compensation. Simply call us to find out whether you may have a valid claim. It is impossible for us to accurately predict the actual compensation you will receive after a leg amputation. No two cases are the same, just as no two accidents are exactly the same, so it would be unfair of us to mislead you by promising you a certain amount of compensation. Instead, what we can do is offer an illustration of the possible claims that may make up your compensation award. In the table below, we have listed the most common type of damages that can be claimed for as part of a leg amputation claim. We hope you find this table useful, but if you require any clarification on what is involved or what type of injury you may be able to claim for, then do not hesitate to call us. Suffering & Pain £1,000 - £200,000 Claimants suffering and pain will be assessed and award calculated. Loss of benefits £5,000 - £500,000 Wages lost due to your injuries requiring you to be away from work will be calculated. For high paid positions, the maximum may be exceeded. Mental Anguish £3,550 Fear of death or the expectation of the end of the claimant’s life, as experienced as part of the incident. Loss of anticipated earnings £10,000 - £400,000 Future earnings expected to be lost as a direct result of injuries. This could exceed the maximum stated here. Less severe Psychological harm £1,170 - £4,450 The patient’s ability to sleep, function mentally on a daily basis and what trauma was caused initially are taken into account. Moderate Psychological harm £4,450 - £14,500 The trauma will have caused inability to cope with day to day living. Prognosis will be somewhat optimistic with at least some improvement noticed before trial. Severe Psychological damage £41,675 - £88,000 Prognosis of recovery will be poor. Loss of leg (Both Legs) £183,000 - £214,350 Both legs lost above the knee, or one high above the knee and one below the knee. Phantom limb pain, psychological damage and other medical problems will be taken into account. Loss of both legs below knee £153,200 - £205,300 The level of the amputations will be considered along with psychological effect, medical problems due to amputation and phantom limb pain. Amputation (One leg above knee) £79,700 - £104,500 Severity of any phantom limb pain, level of amputation and residual injuries will be considered. Amputation (One leg below knee) £74,475 - £101,075 Prosthetic success, trauma of injury and complexity of amputation will determine the level of award. When it comes to leg amputation claims, we believe that if the accident were the fault of someone else, you should not have to pay out of pocket to get the compensation that you deserve. With this in mind, we are proud to have a robust No Win No Fee policy that allows you to pursue a claim without having to pay out of your own pocket to do so. We know the financial strain a leg amputation can put on your finances, and we would not like to think that you would have to stretch this even further to pay legal bills at this difficult time. We will be happy to talk you through our No Win No Fee policy, explaining exactly how it works, and how we can offer this service which means if your claim is not successful then you won’t pay a penny out of your pocket for legal bills. Simply call us to talk about No Win No Fee claims with us, and we will tell you honestly what is involved and how it works. We believe we offer a service that is second to none, and it is likely that if you called one of our thousands of previous clients that they would agree with us. When it comes to making a No Win No Fee leg injury compensation claim with us, we will work hard to ensure you remain at the forefront of all that we do. Our friendly yet professional staff are well versed in dealing with claims that involve extensive and distressing injuries, and we work hard to ensure that you are treated with care, respect and understanding at all times. We keep you fully informed of your claim’s progress at all times, and will never go ahead with any action without your authority. Our solicitors are hand-picked for their attention to detail, their experience and their dedication to fighting for the maximum compensation for each and every client we help. Add this to the fact that we have successfully claimed millions of pounds worth of compensation for our clients over the years and you will surely agree that we provide a service that works hard to offer everything a victim of an accident just like yours requires. Far from being a stressful and complicated process, beginning a claim with us starts with a simple phone call to 0800 073 8804. Our professional yet sympathetic team will be happy to answer any questions you may have about our service, our solicitors, our no win no fee process, or any aspect of the claims process. For free advice on any part of leg amputation claims, that does not put you under any obligation to start a claim with us, simply call our team and we will be happy to answer your questions. This page takes you to the NHS guide on amputation. It contains advice on what you are likely to go through in terms of recovery, as well as explaining different types of amputation. It is a legal requirement to inform the DVLA of any restrictions to your driving ability. This page leads you to the government’s advice on this subject. If you’re interested in finding out more about how many UK service personnel suffer injuries requiring amputation, then this link may prove useful. This page shows the breakdown of benefits you may be able to claim as a result of being disabled because of amputation, as well as any care costs that you may be able to claim.